This set includes 4 worksheets using 12 verbs. 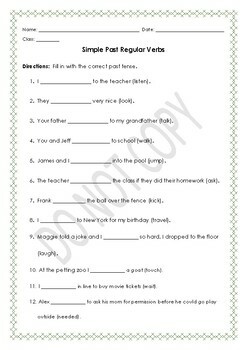 A worksheet in which students match the present to the simple past regular verb. 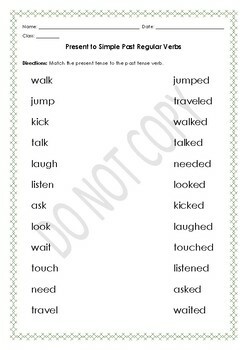 A worksheet in which students re-write the sentence. A worksheet in which student fill in using the correct past regular verb. A worksheet in which students can write their own sentences using the 12 verbs.